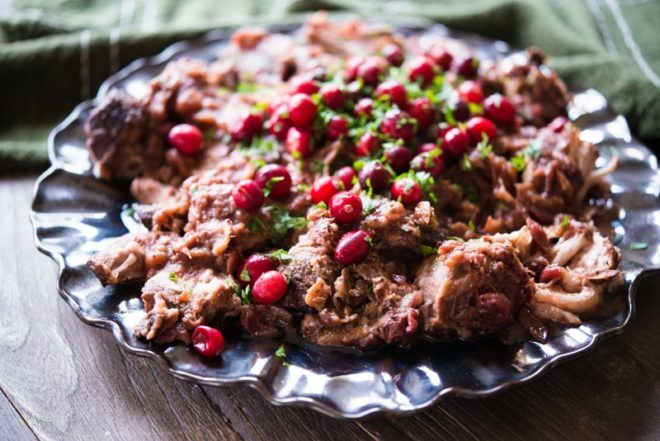 This Slow Cooker Cranberry Pork Shoulder is a great, healthy way to use up that leftover cranberry sauce while putting a brand new meal together for your friends and family! Okay, I'll admit it. This is NOT the prettiest dish I've ever posted …but I promise the flavors are on point. 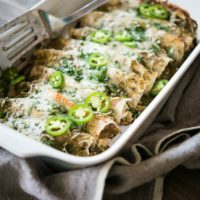 When it comes to holiday recipes, I like to divide my efforts up into about 60% healthier dishes that help us replace the old favorites (like green bean casserole, stuffing, and even a gingerbread house) and 40% dishes that help us make use of leftovers. I don't think I'm alone here, but we ALWAYS have so many leftovers after the holiday! While I do enjoy a rerun plate of Christmas dinner, I also enjoy getting a little creative with the tasty leftover bounty. 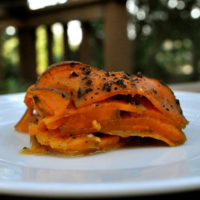 Using fresh leftovers as a way to help make an entirely new meal is such a fun challenge! Use up that leftover cranberry sauce. Make an entirely NEW meal (which can be important if your family does NOT like leftovers). Spend minimal time in the kitchen (thank you, slow cooker!). The recipe is simple, but the flavors are BIG. Even if you're not a huge fan of cranberry sauce, I think you'll enjoy the final product. The method involves us simply browning a pork shoulder and then placing it in the slow cooker. From there, we cover it in our leftover cranberry sauce, put the lid on, and let it sit for about 4 hours! 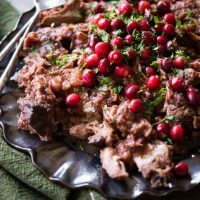 Once it's finished cooking, the cranberry sauce will have lost its vibrant red-color, but you'll be left with tender, flavorful pork just begging to be gobbled up on a bed of (leftover) mashed potatoes. Note that you can absolutely make this dish from scratch, too! Depending on the size of the pork shoulder, you can feed a crowd with very minimal effort. Sprinkle the salt over both sides of the pork shoulder. Melt the butter in either your oven-safe slow cooker insert or a large frying pan. Add the meat and sear on high heat for 3 to 4 minutes, or until a light brown sear develops. Flip the meat over and sear for an additional 3 minutes. Transfer the pork to the slow cooker and cover with the cranberry sauce. Cook on high for 4 hours, or until the meat easily falls apart with a fork. 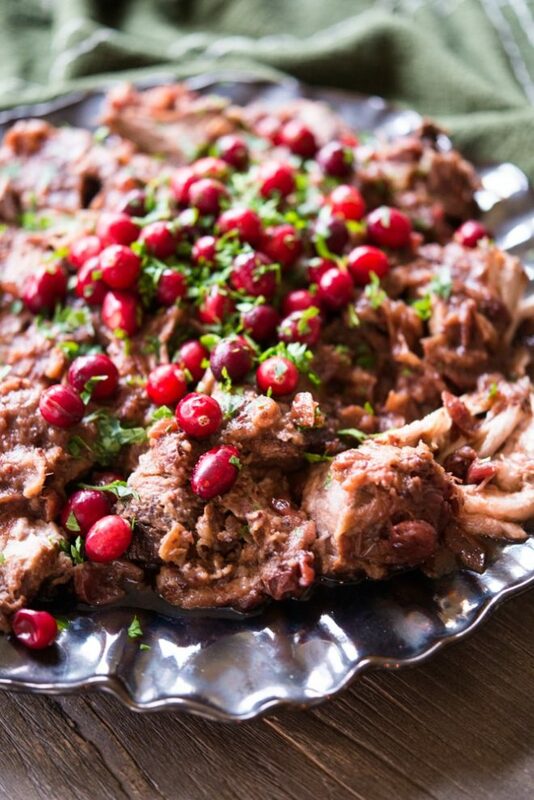 Shred the pork with two forks and garnish with the fresh cranberries and parsley, if desired. 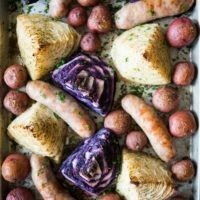 Serve on a bed of mashed potatoes or mashed cauliflower and enjoy! Cannot wait to try this! Looks fantastic. With a husband who loves pulled pork and a mother-in-law dying to get rid over her leftover cranberry sauce, this was GOLD! And we’re about to have our third meal from it. Well done! 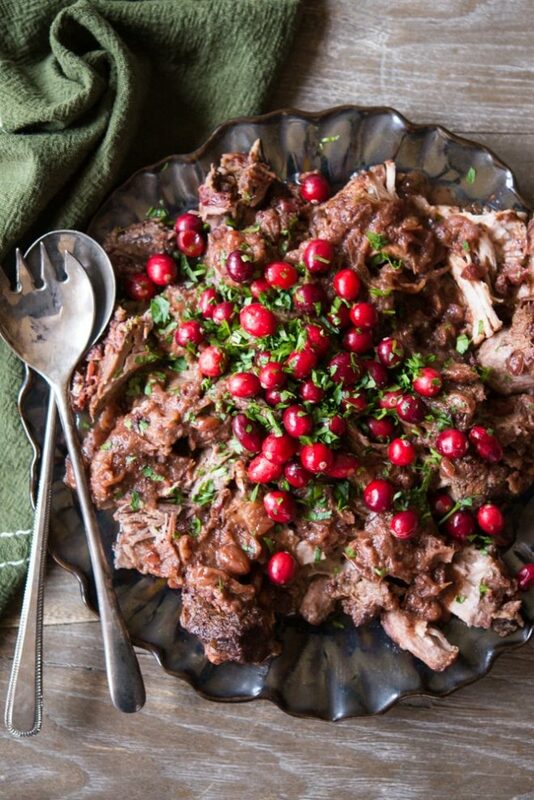 I could eat cranberry dishes like this year round. Love the sweet with savory. We received a beautiful pork shoulder from Butcher Box and I wanted to do something special with it. 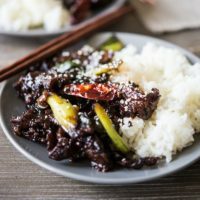 This recipe came up when I was searching. However, there were no fresh cranberries or even frozen (without sugar) where we live. So I ended up using organic frozen whole cherries. AMAZING! It is a really special recipe, and I didn’t even use the right fruit! 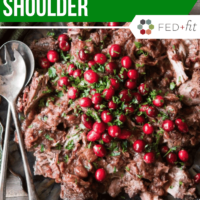 Looking forward to making this when fresh cranberries are available! TY! I’m so glad you liked it, Miranda!